We now have in stock the best new wine kits produced in the UK. 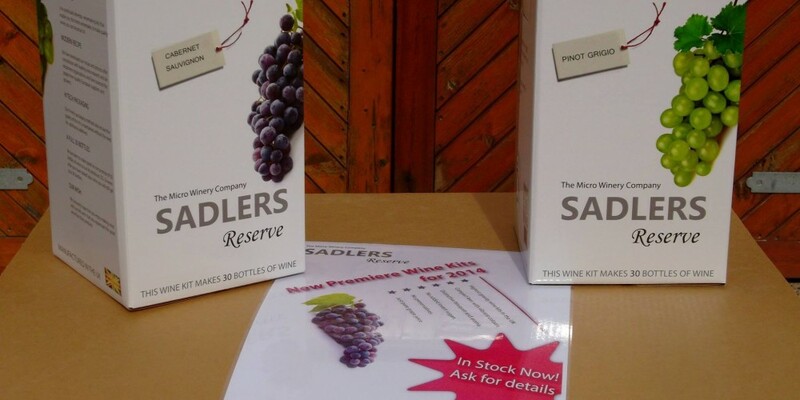 Sadlers Reserve are high gravity kits with distinctive bouquet and aroma, no added sugar or preservatives – just pure grape juice. Call us for more details 018907 71794.